With the peak of the mining boom passing, Australia now has a glut of engineers, according to a new report. In its latest Skills Indicator report, human relations firm Clarius says the nation has shifted from experiencing a shortfall of engineering professionals of around 4,100 two years ago to a glut of around 4,000 today as only around 143,000 of the 147,000 engineering professionals estimated to be now in the workforce are currently needed. The report says that while engineers are required to maintain and operate new mines, the demand for engineering skills in this phase of the mine’s life is less than that in the design and building phase. Moreover, Clarius says a number of those who do have work are being asked to cut back hours and work overtime only where necessary. 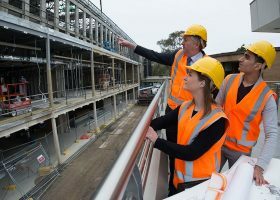 “With the peak of the investment boom in mining passing, we’re seeing the impact on demand for engineers,” the Clarius report says, adding that while Australia typically has around 300 to 400 major construction projects on the go at one time, the past 12 months had seen an average decrease of 45 per cent of projects cross all states – with many having either been cancelled or indefinitely put on hold. 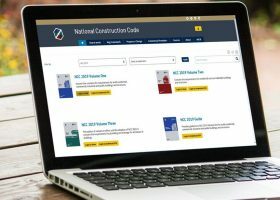 The latest report contrasts with the most recent estimates from the Australian Bureau of Statistics which put the number of people employed either full-time or part-time in heavy and civil engineering construction during the three months to February at 87,200 – the highest level in around 30 years of ABS figures. The apparent discrepancy between that data and the Clarius estimates no doubt reflects the strong volume of work going through the resource pipeline in recent times (hence the strong ABS numbers) compared with the limited number of new projects starting up. However, the report says opportunities for tradespeople and professionals in residential and commercial building are improving, and that assuming planned government infrastructure projects are brought to fruition, better times lie ahead. 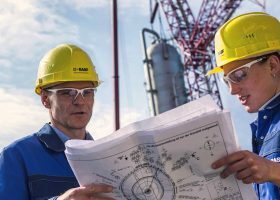 Moreover, Clarius says companies – particularly large ones – are now more inclined to hire engineers on a permanent basis as opposed to short term contracts. It says its own building and engineering recruitment subsidiary SouthTech, for example, has seen more demand for permanent roles in the first four months of 2014 than it has in the past two years. Why do we need too many 457s??? we have enough Australian (and permanent resident) engineers here.. I wonder why the government is giving false hope to overseas applicants. When these overseas engineers cannot find suitable work they resort to working in retail, cleaning, hospitality, thereby competing with people who can do these jobs here. Wait!!! on this website the 29th of April there was an article titled " Are Visa Restrictions Imperilling Infrastructure Growth?" by Marc Howe that citied "Consult Australia" that there was still a shortage of engineers hence the 457 visa rules needed to be re-re-watered down.